The 2009 United Nations Climate Change Conference in Copenhagen presents a new focus for international debate and decisions about energy and its use. What are the countries of Western Europe and Scandinavia doing to promote sustainable energy production? Just how different will the future energy map of Europe look? And is energy policy principally a scientific issue or a political one? This album contains a series of films exploring energy policy in various countries around Europe in 2006, framed by audio pieces recorded by Open University academic Godfrey Boyle in the run up to the Copenhagen Conference. He highlights the central issues that the conference aims to address, and gives an update on how European energy policies have changed since the films were made. 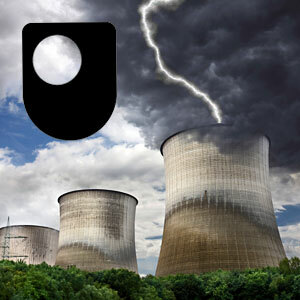 This material forms part of The Open University course T206 Energy for a sustainable future. New studies confirm climate change’s triple risk to Europe. The heat is on, lives are at risk and the floods are arriving earlier. At the UN climate summit, a group of countries has undertaken to end the use and the financing of coal. Explore the personal side of climate change with Alan Thomson's diary entry. How does climate science influence policy makers? Luis Gómez-Echeverri is the associate director of the Global Energy Assessment programme, and talks to us from COP15 about their work with organisations, and his belief that we must link climate change to our daily lives and economic activities, in order to effectively implement policies. This innovative album introduces one of the biggest, and most complex, of today’s environmental problems – climate change. It features the hard-hitting, "Who Will Pay", selected as a finalist in an international film competition on "Vulnerability Exposed: The Social Dimensions of Climate Change" organised by the World Bank. This 'Earth in Crisis' album offer a sophisticated understanding of the processes and players that shape contemporary international environmental problems, evaluates what can and should be done in the future, and explores how responses to these dilemmas are intertwined with issues of development, international justice and responsibility. The eleven video tracks focus on climate change induced flooding in the delta regions of Bangladesh and in the Thames region of the UK. 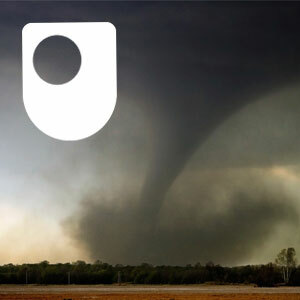 In the first five audio tracks, members of The Open University course team explore the main issues raised in the videos. The final three audio tracks explore some of the wider political and scientific dimensions of climate change. This material forms part of The Open University course DU311, Earth in crisis: environmental policy in an international context. How many lightbulb jokes does it take to save the world? Humour has a part to play in getting the message about climate change across. The early modern period from 1500 to 1780 is one of the most engaging periods for historical study. Beginning with the upheavals of the Reformation, and ending with the Enlightenment, this was a time of fundamental intellectual, social, religious and cultural change. At the same time, early modern Europe was rooted in and retained many of the customs of medieval times. You will explore this balance of change and continuity through documents written, and (for the first time) printed including diaries, pamphlets, legal documents, bureaucratic records and ballad songs, as well as the images and objects.